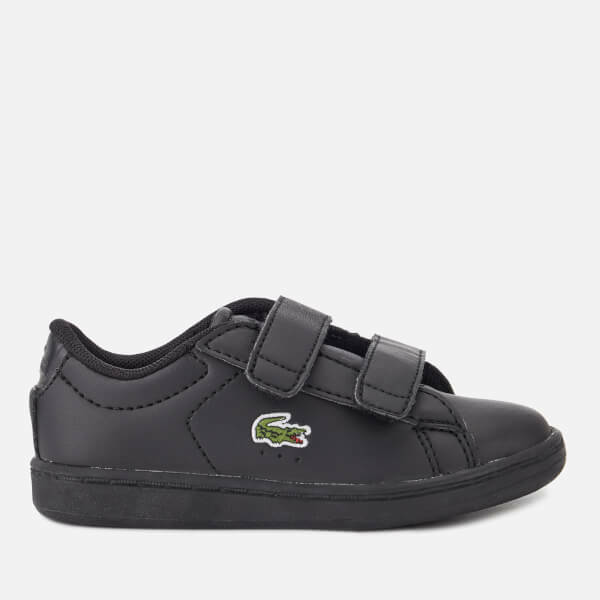 Toddlers' black low top trainers from Lacoste. 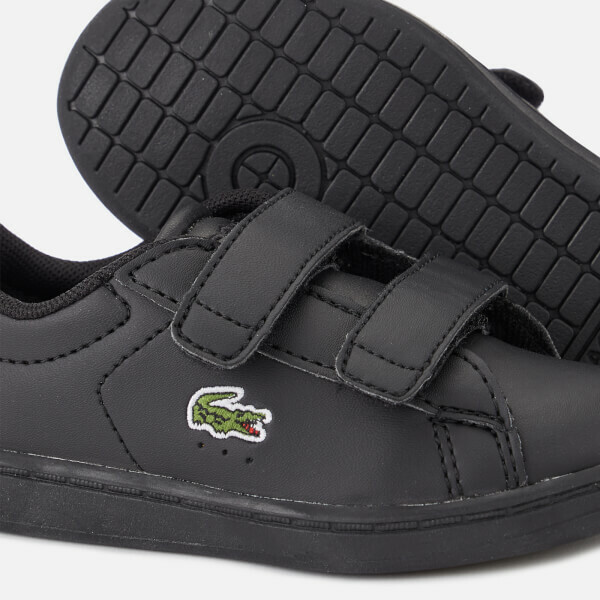 Crafted with leather-look uppers, the 'Carnaby Evo' sneakers feature a rounded toe, twin Velcro strap fastening and signature, embroidered crocodile motif to the outside foot. 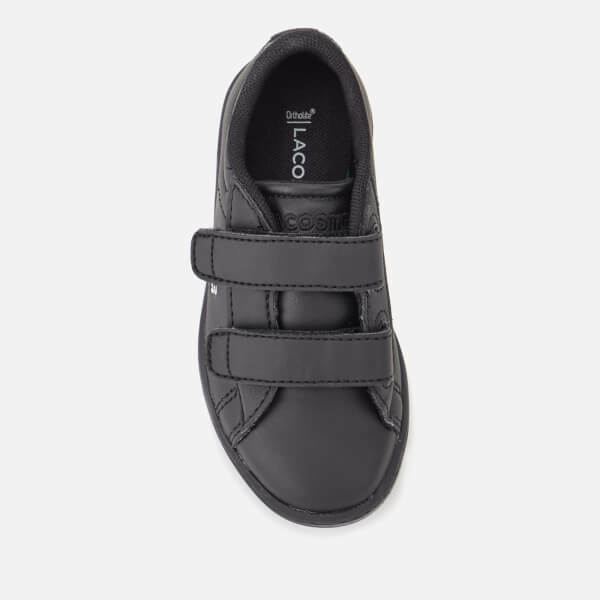 Complete with padded Ortholite insoles for enhanced comfort and breathability. Contrast white outsole. Upper: Synthetic. Lining: Textile. 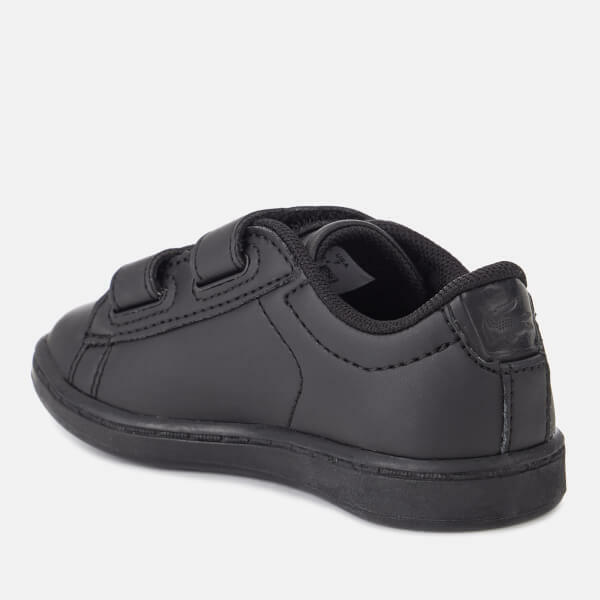 Sole: Other Materials.